Hi guys, and welcome to a new Top Ten Tuesday. Today is all about the visuals, because even if we are super imaginative and can perfectly envision everything we read (eh, not always), it’s always nice to just look at beautiful art. So I would like to talk about a few of my favorite fan artists today. These are artists who are just like us, as in they love to obsess over books. Except, they also have the amazing talent to draw the characters and scenes so beautifully. Of course, all art belongs to the artists! If you click on the name you will go to their DeviantArt or Tumblr sites where you can see all their art. Be sure to always credit them! Charlie is my favorite artist. I adore her style so much and I’m especially in love with this gorgeous piece of Manon Blackbeak from the Throne of Glass series. 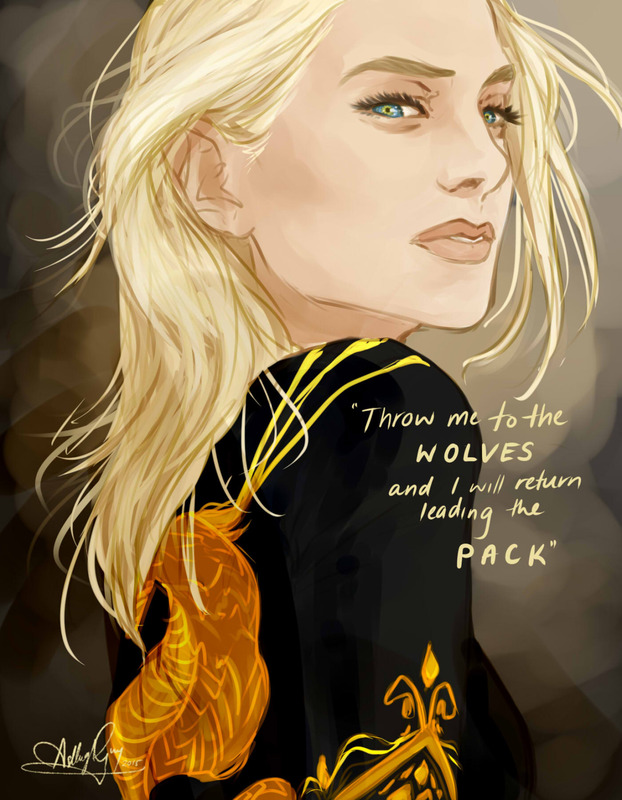 She has a lot of original art, but also a lot of Throne of Glass / ACOTAR related art. Another favorite: Taratjah. 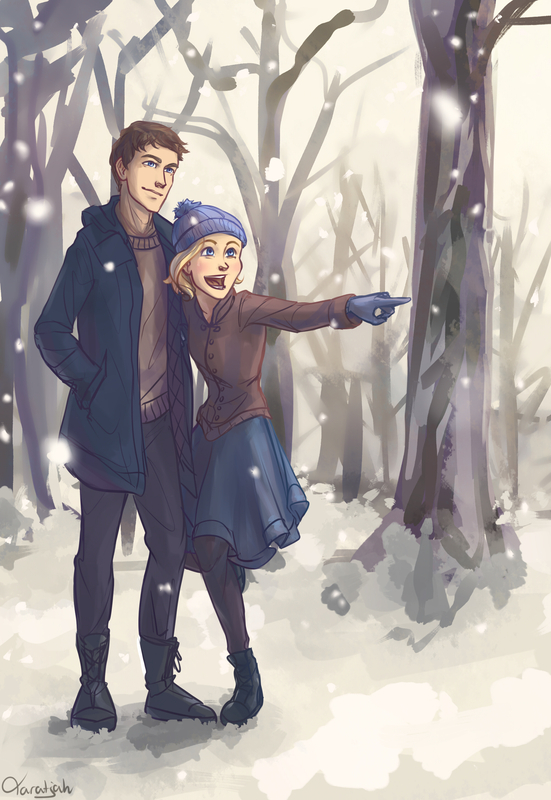 I love this art of Thorne and Cress from The Lunar Chronicles, but I could pick any other piece by her as they’re all great. I love her Lunar Chronicles series, her Six of Crows drawings, her Throne of Glass and Acotar work, Shadowhunters, The Darkest Minds… so many great fandoms and fanart and I love it all! 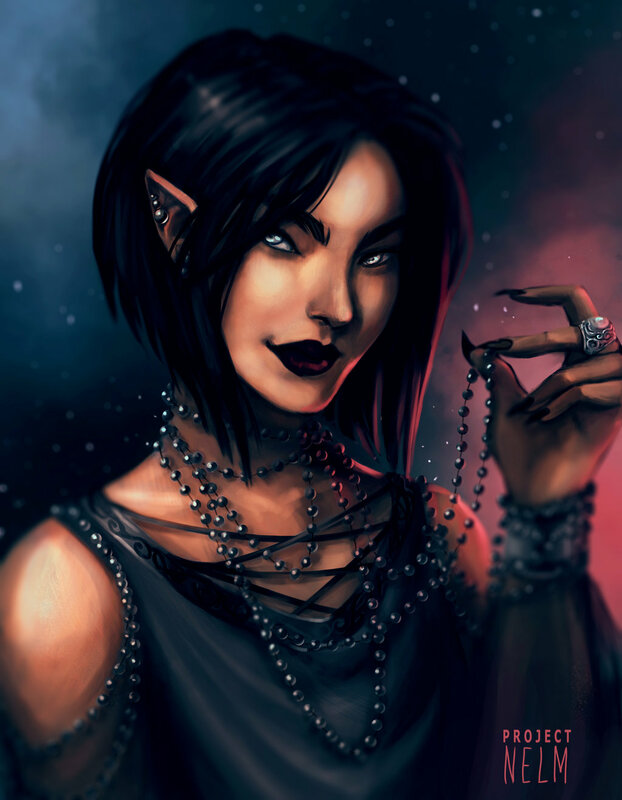 How about this kickass Amren from ACOMAF? Project Nelm is another amazing fan artist who dabbles in multiple fandoms. Inej Ghafa is my queen! 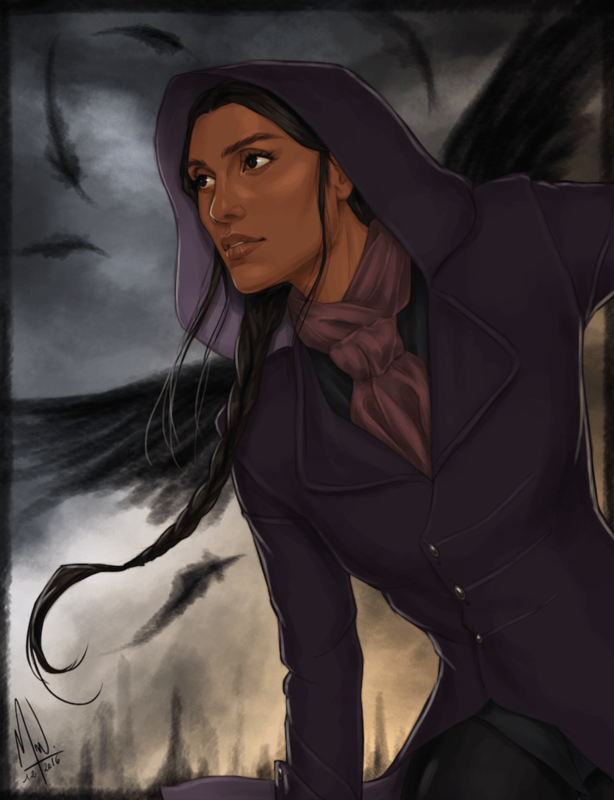 You can check out Merwild / Coralie Jubénot’s art for multiple fandoms, but I especially love her Six of Crows, Captive Prince and ToG/ACOTAR related fanart. Oh, and some Yuri on Ice as well! 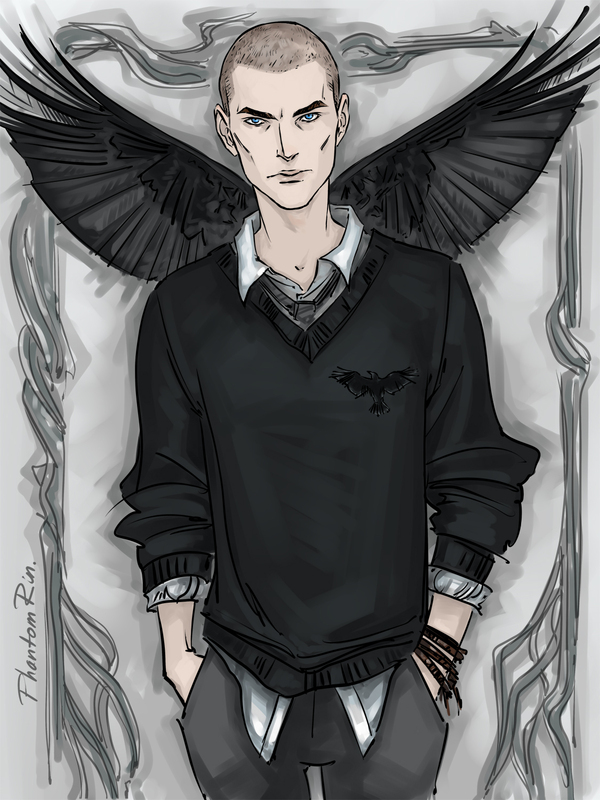 Another artist with so many amazing fanarts, including the Raven Boys (I love this one of Ronan especially), the Grisha trilogy, Shadowhunters, ToG and so much more! 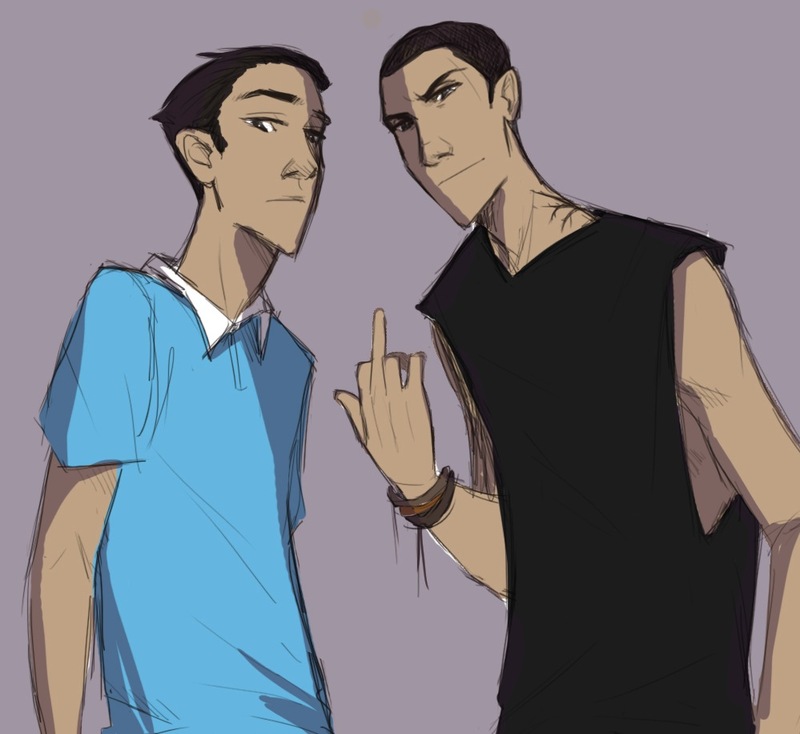 Talking about the Raven Boys, how about a Gansey and Ronan one from Linneart? Check out her art for more, including Yuri On Ice, Supernatural, Captive Prince and more! 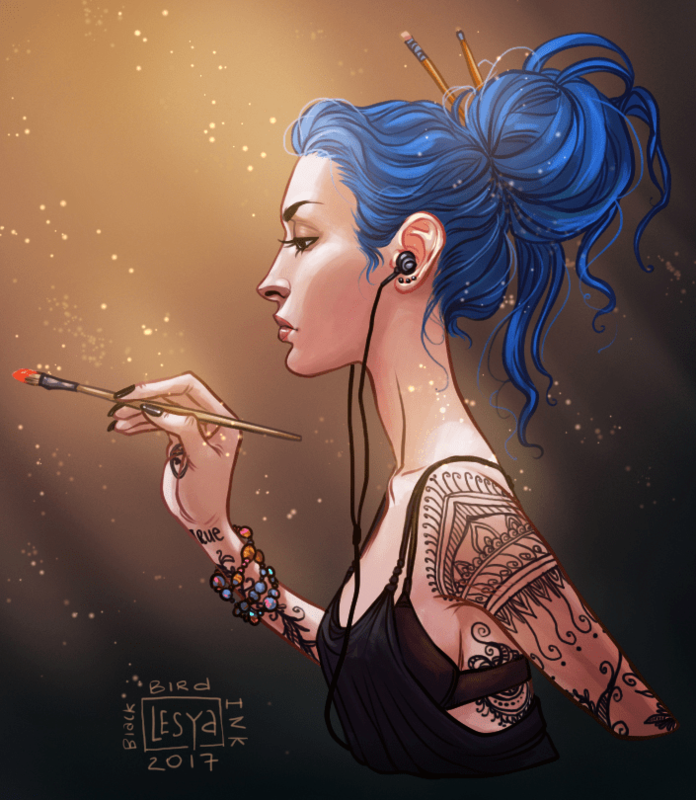 I only recently discovered Lesya of BlackBirdInk, but I already fell in love with her Karou from Daughter of Smoke and Bone! And she also has some kickass Lunar Chronicles art on her tumblr. 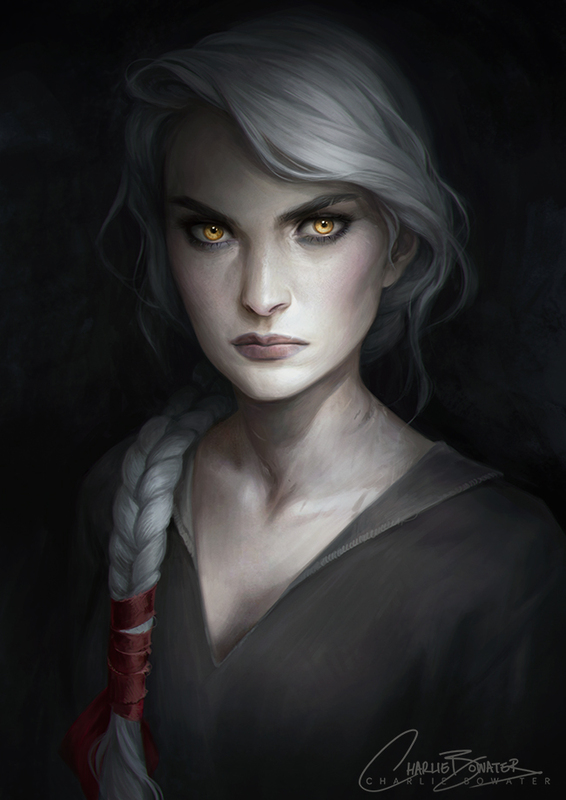 Another lovely artist who (as far as I know) mostly focuses on Throne of Glass fanart and isn’t as active anymore, but still has some amazing art. Do you love fanart? Who are some of your favorite fan artists? Nice! I love fan art and can spend hours on Deviantart. Of these I think I like Charlie Bowater and Merwild the best (I’ll be checking out their sites) but Ashiibell looks like a good one too. Have you ever seen Lindsey Looks stuff? I like her a lot. Oh, I didn’t know about Lindsey Looks, I’ll go check her out! These are really great! I love TOG, Raven Boys and anything by L. Bardugo. I’m going to have to check out these artists more. Thanks! Oh my goodness these people have talent. I’m going to have order fanart from them now. 🙂 Love this post. Emily Seals recently posted…my favorite books with visuals. Beautiful artwork by very talented artists indeed. Wow these are all gorgeous!